The balloons never end! Clearly, they’ve taken up one half of my brain now (see here and here to know what I’m talking about) and no promises that they won’t continue. 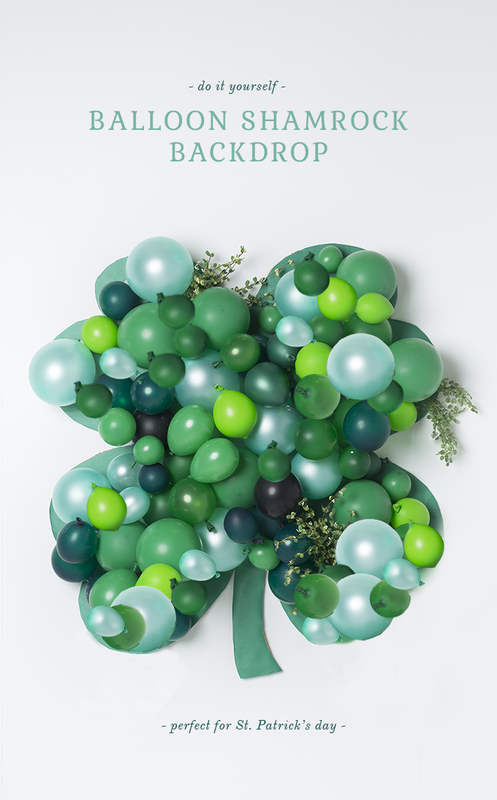 This balloon shamrock would be great for a classroom or house decor or clearly a party for all you Irish folk out there. These balloons last for quite awhile so feel free to start on them now! 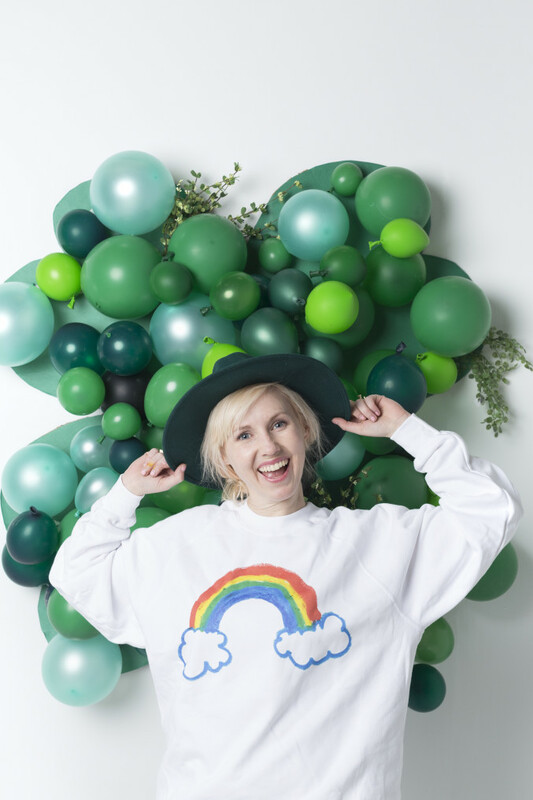 And feel free to get your St. Patrick’s Day on. Heaven knows I have. 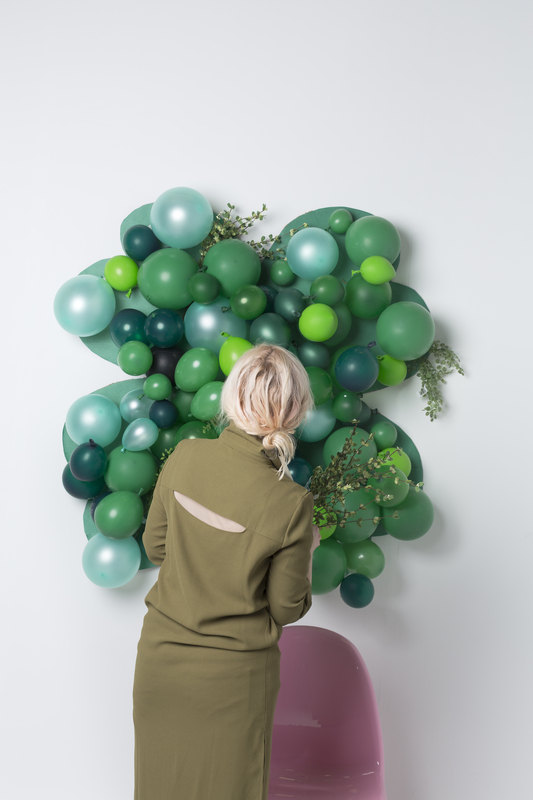 See below for full tutorial and shop the look! Step 2: Cut it out with your scissors. It might be hard to cut if your cardboard is super thick. Step 3: Lay your butcher paper underneath the cardboard and trace around it and cut it to the shape of your board. Glue it to the board. Step 4: Start by attached biggest balloons first with heavy duty tape. To keep the shape of the shamrock, make sure they don’t dangle past the edges of the cardboard. Keep them inside. Step 5: Once it’s filled in, use your lo-temp glue gun to add the balloon layers on top. 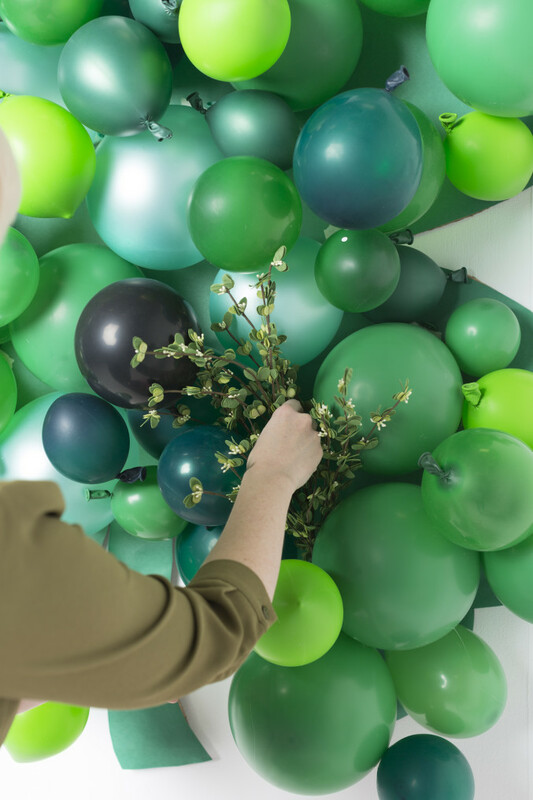 Step 6: Stuff some greenery into the balloons. You can even secure it with wire by making a hole in the cardboard and weaving the wire through. Step 7: To hang the shamrock, attach fishing line to the back of it and attach heavy duty tape to secure it.